I was having problems coming up with an idea for this week’s Stir Fryday. 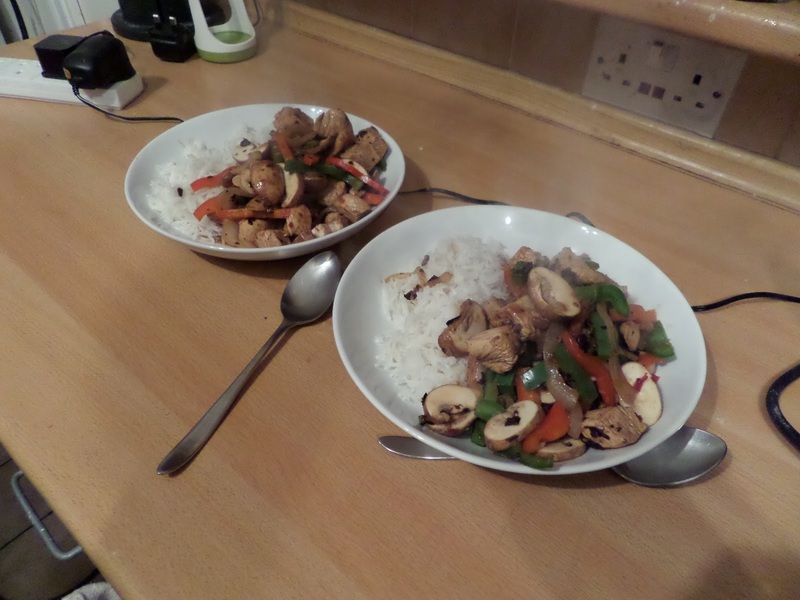 Thankfully Soph reminded me we have some fermented black beans she bought some months ago, so we’re going to use those to be the sauce for a chicken stir fry with rice. 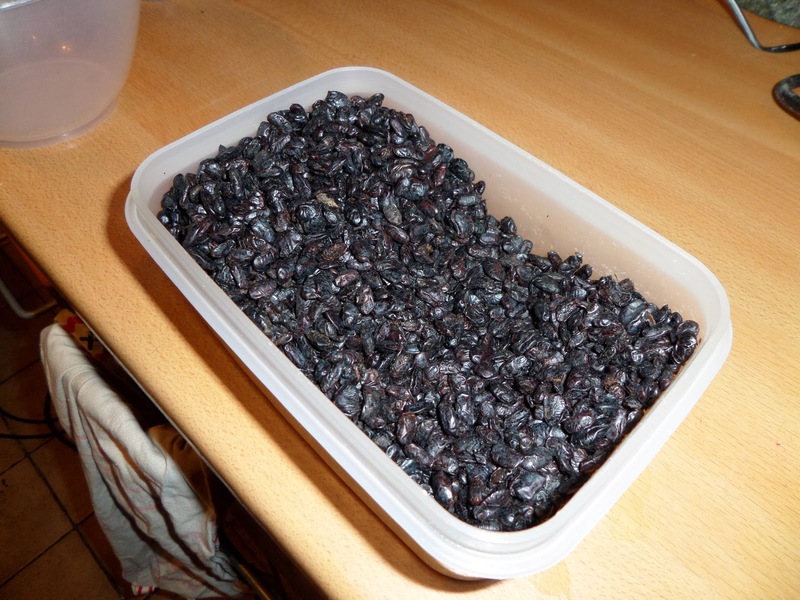 The black beans need to be soaked before using. First in boiling water. 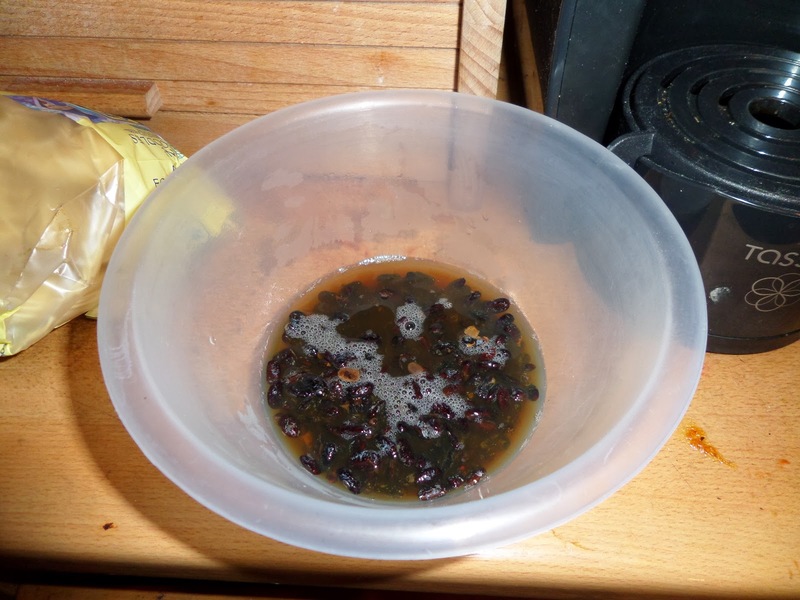 While they soak in that Soph made a sauce with rice wine, rice vinegar, red wine vinegar, oyster sauce, soy sauce, sugar, garlic, ginger, chilli flakes, szechuan pepper, Chinese 5-spice and a little black pepper. Wow – even better than last week! 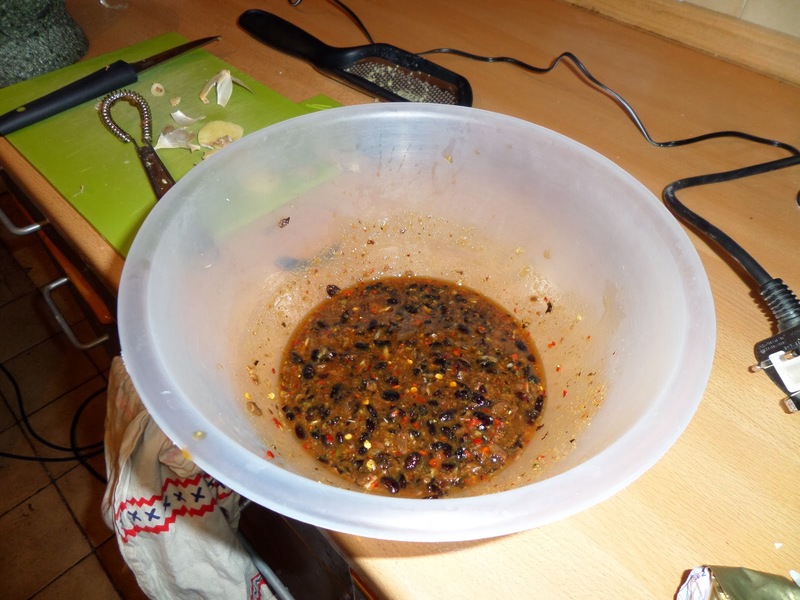 The black beans give it a really authentic flavour, and the sauce worked really well with a mix of sweet, sour, bitter and hot. For how long did you have to soak the black beans?